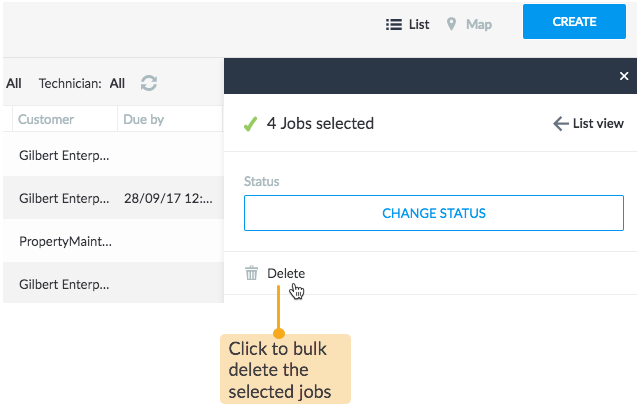 To delete a job, select the job in either List view or Map view. 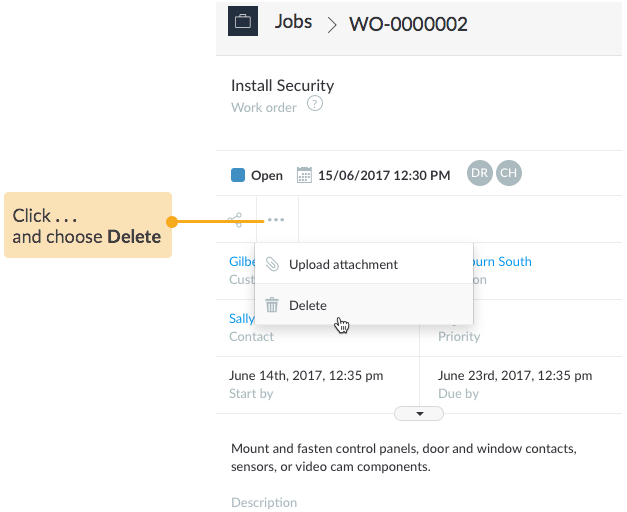 You can easily delete a job if it's no longer in use or perhaps if works have been completed as a part of another job. 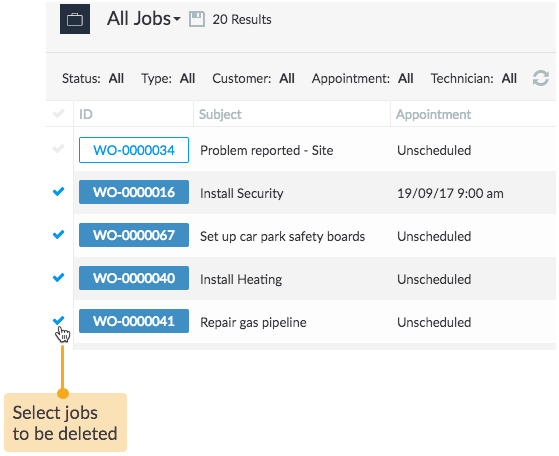 With bulk deletion of jobs, you can select large number of jobs and delete them all at once. TIP: Selecting large number of consecutive jobs is faster using Shift key on your keyboard. Just select the first row, press the Shift key and select the last row of the slab of jobs to be deleted. IMPORTANT: Please be aware that if you delete a job, any field log or history recorded on the job will be lost.